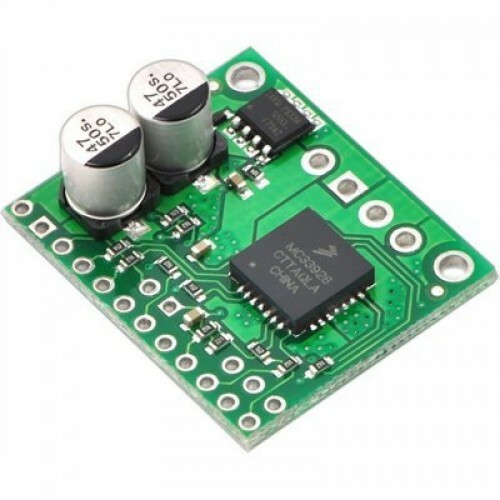 This breakout board for Freescale’s MC33926 full H-bridge has an operating range of 5 – 28 V and can deliver almost 3 A continuously (5 A peak) to a DC motor. 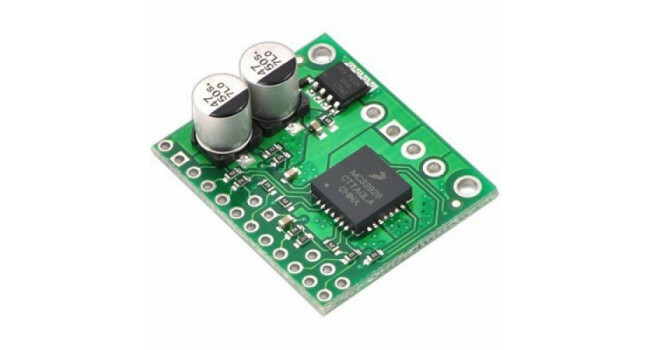 The MC33926 works with 3 – 5 V logic levels, supports ultrasonic (up to 20 kHz) PWM, and features current feedback, under-voltage protection, over-current protection, and over-temperature protection. 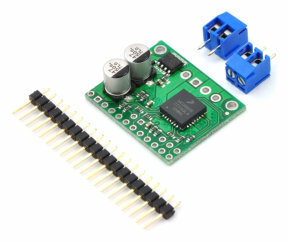 The default states of many of the MC33926 logic input pins requires that many external connections be made to use this motor driver. 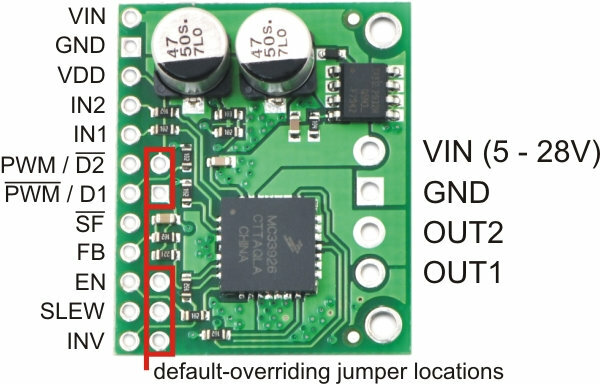 To reduce the number of necessary external connections, the board has five default-overriding jumpers. All of the default-overriding jumpers are tied to VDD, except the D1 jumper, which is tied to GND. All VDD jumper pads are circles; the ground jumper pad is square.